you can't go wrong with this Batman backpack. Sorry, folks, but the "Artichoke Object" from Williams-Sonoma is no longer available. 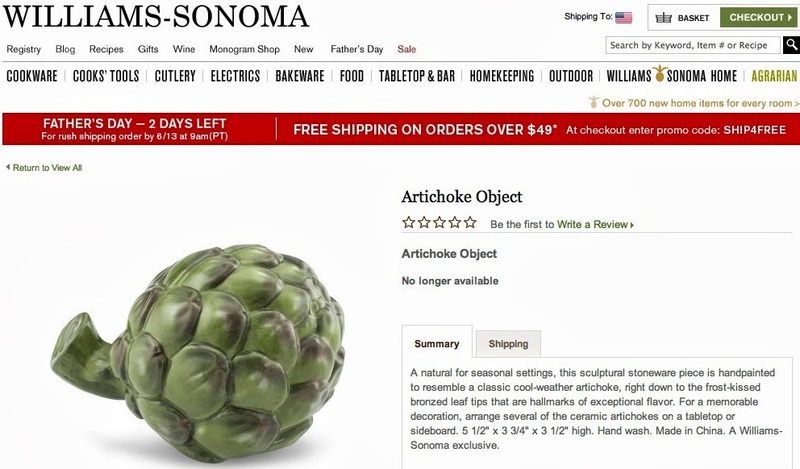 I have no idea what possible replacement you could get for a fake artichoke to place on your tabletop or sideboard.